Did you know every time a Bruff joke rings, a meme account gets its wings? Everyone has heard them. Forget the AutoNation Cure Bowl – Tulane’s most popular sport is seeing how many words it takes to deliver the same thesis: “Bruff is bad.” The jokes stopped being even remotely funny after the first two weeks of class, but that doesn’t stop every guy named Brad majoring in finance to crack a cauliflower quip in between songs at The Boot. 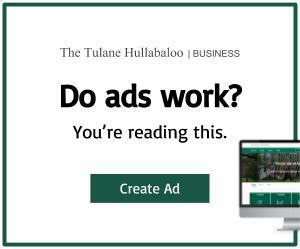 But more than being unfunny, these types of jokes highlight a serious issue on Tulane’s campus. And no, it isn’t that Bruff deserves to be torn down and that your new thousand-WaveBuck meal plan will fix everything. 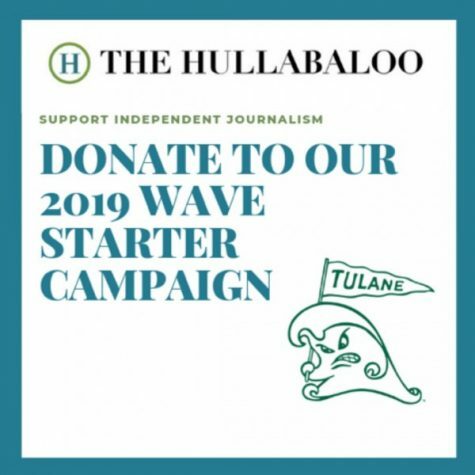 It’s that, in the face of what is, for some students, the most well-rounded and nutritionally enriching food supply they’ve ever had, the Tulane community fails to acknowledge the implications of a joke rooted in extreme privilege. If students really seek to create a more inclusive environment, why are there posts on Facebook pages asking for a “no-swipe” meal plan? Why is accessibility uncool? This is not to deny that there are improvements to be made to Bruff, of course. But to call for the complete termination of the Sodexo contract over the occasional misstep is an overreaction, as well as a perfect demonstration of why classism remains such a prevailing problem. Ultimately, you pick on good ol’ Simple Servings because you either don’t like the food, or just want to feel morally superior. Let’s address the former first: At Bruff, the world is your oyster. I know you just got back from a hard day at Long Calculus I, but more options exist than pizza. Experiment! Live a little! Still, some people think it’s harmless to poke fun at Bruff. To them, I’ll say this: Sodexo works tirelessly for you. Regardless of department, the same faces will be cleaning up your hungover messes for your entire college career. Are students not at all concerned with what would happen if the Sodexo contract was terminated and these workers were kicked to the curb? Listen, I know it’s frustrating that Daddy’s tuition money doesn’t buy you a Michelin-star meal daily, but some students are really grateful for Bruff. It’s just sad that respecting service employees is less fundamental to Tulane culture than rehashing stale memes. Also, stop stealing my waffle fries, you vultures. This has to be the laziest, most pseudo-intellectual article I have ever seen published by the Hullabaloo. It is a desperate, poorly written and argued attempt to gain moral superiority over people. It also condones Sodexo, a company that thrives on exploiting the lower class in both paying the lowest wages they can get away with, and ensuring that our private prison system keeps chugging on. Great article. People making the food are human beings, and it’s actually pretty damn good. Always thought it was strange when someone complained about Bruff. Especially the scale it’s made on. Sincerely, someone from a wealthy background who loves Bruff and hates dehumanizing, entitled negativity. Well said. As a parent, I’ve eaten at Bruff. The food is cheap, plentiful, and, if you make the right decisions, nutritious. It’s a college cafeteria and it does that job adequately. This article is reflects as missguided opinion from a pretentious writer, who uses privilege as a blunt tool to beat back thouse who disagree with him. The long history of subpar and even dangerously undercooked food from Sodexo is a fact. Alex this piece was wonderfully written. Bruff is a great place to grab a meal, short of being a romantic spot. I wish the hours of business were longer. Sodexo is a company with contract employees and won because they were the lowest bidder. Hopefully Sodexo will pay their employees a competitive wage, but New Orleans is known for notoriously low wages in this particular area of business. If they were employed as university employees the price of tuition would go up. The university will never step in and tell another private business what to pay their employees. The Sodexo employees I interact with are nice, upbeat and very professional. Remember to treat others how we want to be treated. Regardless if you came from money or had to work by the sweat of your brow for everything you own. Again, Alex this was well written. alex my king this was so well-written and perfectly hits the mark. give this man a pulitzer.